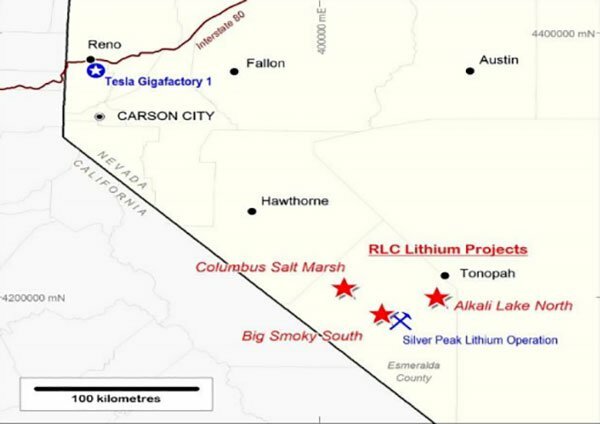 Having lined up three cornerstone lithium projects in Nevada earlier this year, ASX junior Reedy Lagoon (ASX:RLC) has kicked off drilling operations at its Columbus Salt Marsh Project. RLC is drilling the deepest hole chasing lithium brine outside Clayton Valley in Nevada into one of the best conductivity anomalies any company has been prepared to release to the public. The drill programme is progressing smoothly, with drilling now approaching target. RLC has overcome difficult early ground conditions, with the drill recently passing 400 metres down hole and nearing the highly conductive zone extending 600 metres below surface. This is the zone where RLC is expecting to intersect brines. We’ll take a look at the nitty gritty of the drilling progress to date shortly, but let’s take a moment to first understand RLC’s underlying strategy — that is, to make headway in lithium mining by focusing on cheaper productions costs. As an early adopter of new regulations introduced in Nevada this year, RLC has in its hands the first Dissolved Mineral Resource Exploration Well Permit granted in Nevada. Because it doesn’t need to be mined, crushed or roasted, lithium from brines can be processed at around half the cost burden endured by the hard rock miners. Deriving lithium compounds from brine sources tends to be cheaper than from mineral sources such as spodumene. They do, however, tend to take a little longer to bring to market but their lower operating costs provide a distinct advantage over the higher cost production from mineral sources. If RLC can define a substantial lithium Resource in Nevada, this will likely mean a commercially viable mining operation will be put together over the coming two to three years. However, success here is not guaranteed at this stage so investors should seek professional financial advjce for further information if considering this stock for their portfolio. Combined, RLC’s lithium projects have an exploration target of between 750,000 and 1,000,000 tonnes of LCE (lithium carbonate equivalent) at a grade of between 90 and 120 mg/l. That’s a strong way for this ASX junior to kick off its intentions in Nevada. RLC raised in excess of $3 million in additional capital in December 2017 with which to spearhead exploration by drilling. On top of that, RLC is currently looking to raise $1 million for further drilling of its lithium brine targets in Nevada. It’s doing this via a Non Renounceable Entitlement Offer of Options over RLC Shares that opened on March 21. The offer to existing shareholders is 1 Option for every 8 RLC shares at an offer price of 2 cents. Each option has an exercise price of 8 cents and is exercisable at any time within three years of its issue date. Participation in the pro-rata offer with entitlements ensures all shareholders have the opportunity to prevent dilution of their equity in the company. It also provides an opportunity for small shareholders to acquire significantly more options than their entitlement as they can apply for as many or as few options as they want. Non-shareholders will only be able to take up the offer if options remain after shareholders have taken what they want. With its eye keenly fixed on the Tesla-fuelled energy storage market, RLC’s focus is on deploying potential new processing technologies that may enable lithium extraction and refining from brines. These kinds of technologies could render obsolete the current evaporation ponds used by existing lithium brine producers and may enable production of battery-grade lithium products. These new brine processing technologies seem more suited to processing brines with low levels of deleterious substances such as magnesium, calcium and sulphates — which is why RLC cherry-picked its cluster of projects in Nevada. RLC noticed that Pure Energy (TSX-V:PE) has reported it can process its Nevada brines without using evaporation ponds, whereas the companies processing South American brines, which generally have high levels of magnesium and or calcium as well as lithium, have been unsuccessful in finding an economic alternative to processing steps which include evaporation ponds. Not to mention that its prospects are right next door to Tesla’s monumental gigafactory, which is expected go through over 100,000 tonnes of lithium per year all on its own. Given that the global lithium-ion battery market is expected to be worth US$81.65 billion by 2021, bolstered by uneven supply/demand dynamics, it would seem that RLC is in the right place, at the right time. 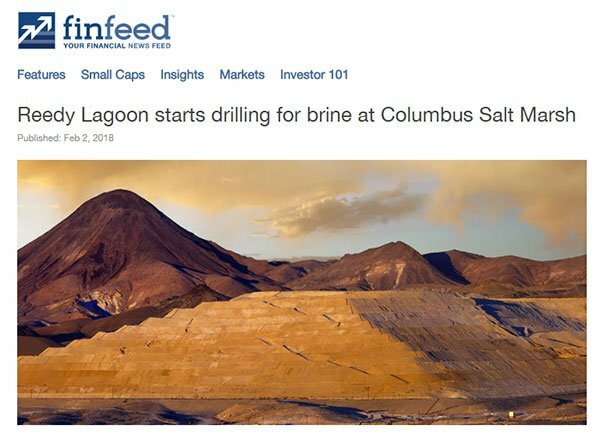 With lithium marketability moving from strength to strength, and RLC making strong headway drilling for lithium brine at Columbus Salt Marsh, it may not be long before investors cotton on to this $15.5 million-capped battery technology growth story. 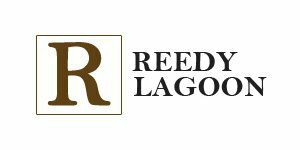 As we mentioned, Reedy Lagoon (ASX:RLC) is currently looking to raise $1 million to fund further drilling of its lithium brine targets in Nevada. It’s doing this through a rights issue of option at 2 cents. Each option has an exercise price of 8 cents and is exercisable at any time within 3 years of their issue date. The offer opened to shareholders on March 21 and closes on March 29. This cash injection will enable RLC to retain the drill rig currently drilling at Columbus Salt Marsh to drill a second hole at one of its projects as soon as the current hole is completed. This will assist RLC in homing in on the lithium-ion battery boom that’s coming out of amply mineralised Nevada. RLC has what could be a major advantage here – its tenements are located above favourable brine chemistry which should directly translate to lower costs. Electric vehicles (EVs) use almost 5,000 times the lithium of a smartphone, and with vehicles such as the Tesla Model 3 and the Chevrolet Bolt going into mass production, there is considerable upside regarding lithium’s future prospects. We looked at surging lithium demand in detail in our last article, Can Drill-ready Lithium Brine ASX Junior Step Out of $15.8BN Albemarle’s Shadow? The key take-home message was that lithium demand is on the rise and is only going to keep on soaring. According to Technavio, the global lithium-ion battery market is expected to reach US$81.7 billion by 2021, at a compound annual growth rate (CAGR) of over 11%. 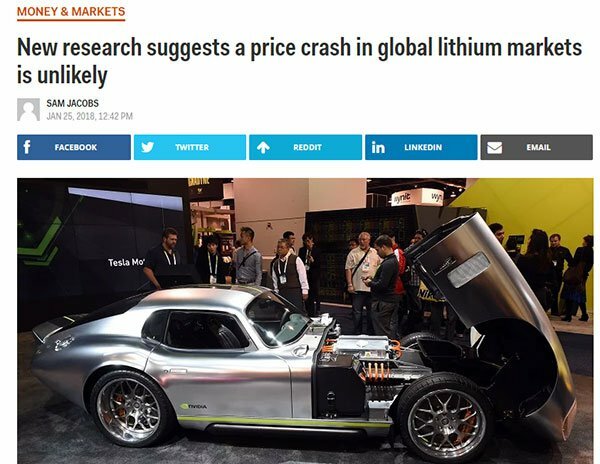 Analysts at MorningStar estimate lithium demand will rise at double-digit rates from 175,000 tonnes in 2015 to 775,000 tonnes by 2025 — an increase that they say would be the fastest of any significant commodity over the past century. Bearing in mind Tesla’s increasingly epic Model 3 production goals, a successful lithium endowment could mean serious business for RLC. However it should be noted that demand for commodities does fluctuate and therefore investors should maintain a cautious approach to any investment decision made with regard to these commodities. If it can manage to dig up something substantial, this would enable RLC to springboard onto this rapidly developing energy storage market, which includes supplying the raw materials for producers of electric cars and lithium-battery-laden devices. The key now is to conduct diligent exploration and clarify exactly what kind of geology RLC has at its disposal. The Columbus Salt Marsh Project is one of three lithium brine projects located in Nevada, all of which are wholly owned by RLC. When combined, RLC’s lithium projects have an exploration target of between 750,000 and 1,000,000 tonnes of LCE at a grade of between 90 and 120mg/l. The Columbus Salt Marsh valley represents a closed basin with extensive tertiary volcanic deposits in the surrounding hills. The valley is fault bounded and several geothermal springs discharge alkali salts onto the lake surface, where they have been mined for borax in the past. This current drilling programme is investigating a highly conductive zone extending from 600 metres to more than 1,000 metres below surface. Progress here has been tracking well, with drilling now steadily approaching target. RLC expects to intersect brines within this zone and plans to drill to 1,000 metres. RLC has also intersected a tuff unit between 151-167 metres downhole, establishing the presence of volcanic ejecta and a potential source of dissolvable lithium within the project claims. Other thin tuff units have been intersected above and below this wider zone. RLC’s tightly focused programme from here will include hydrological testing to establish aquifer, brine composition analysis and brine extraction parameters. If the results are favourable, RLC will expand the diameter of the hole and convert it into a ‘monitoring well’, which can then be converted to a producing well. With these results looming in the not-so-distant future, we can expect ample news flow from RLC in coming weeks... which could, in turn, spark investor attention. Most of the world’s lithium is currently produced in China, Australia, Chile and Argentina. But more recently, there’s been a noticeable lithium rush in Nevada. And joining this veritable lithium gold-rush is RLC — a company that remains capped at only $15.5M, but has a cluster of intriguing projects situated right in the heart of all this bustling Nevada lithium activity. It is an early stage play and investors should seek professional financial advice if considering this stock for their portfolio. Moving forward, RLC plans on expanding its Nevada footprint through robust exploration and a business model focused on cost-effective brine extraction and processing. With progress tracking smoothly on its drilling programme and a solid cash position from which to embark on further lithium brine drilling, RLC could very well raise its market valuation on the back of a lithium market expansion fuelled by lithium-ion batteries.